It's my own fault. I don't like to quest, so I tend to hop to dungeons and raids as soon as possible. Now that I no longer need to grind rep to get shoulder enchants, I didn't work on any of the end-game rep. Today in a moment of weakness, I peaked over at the "The Big Bag Guide" on Wowhead. Running down the author's list, I was surprised to see that there is a 28 slot bag available to me. All I need is Exalted with the August Celestials and 12 Imperial Silk. Sadly, at this time Elk is Friendly (mostly via the farm) and Eride, my tailor, is Neutral. Reading through the guide, I see that they have a 4 different quest hubs. Which hub you head to is decided by your factions quarter master. Each hub appears to provide around 1100 rep (plus another 10% due to guild bonus or 1210). Run the daily quests on Elk (~1200 rep a day) until he reaches Revered and can purchase Commendation. At 200% rep, Eride will start running dailies all the way up to Exalted in order to get pattern. So, Elk needs about 14,000 to reach Revered. This means about 7 days of dailies (@2100/day) until he can purchase the AC Commendation. 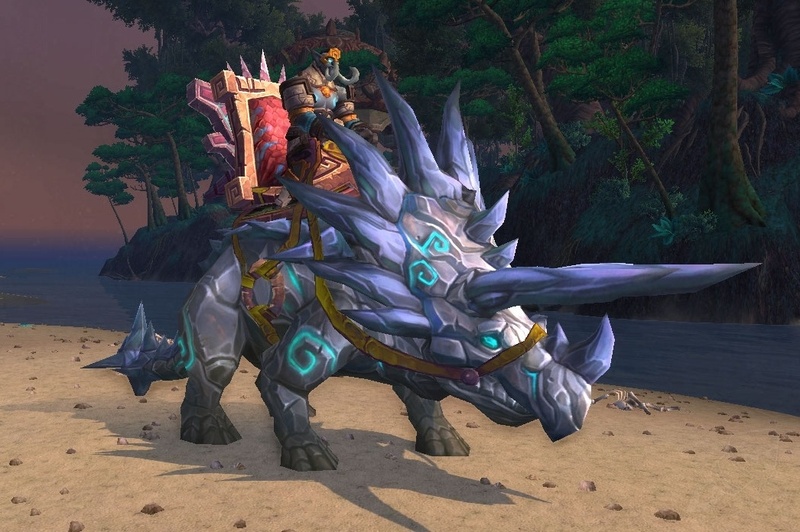 The one additional item would be to add the Zandalari Warbringer and Scouts to NPCScan and start killing them as well. They drop BOA rep coins for several of the factions including the AC. According to the comment on the rep guide, 1000 rep + 10% guild bonus + 200% commendation bonus = 2200 rep each coin. 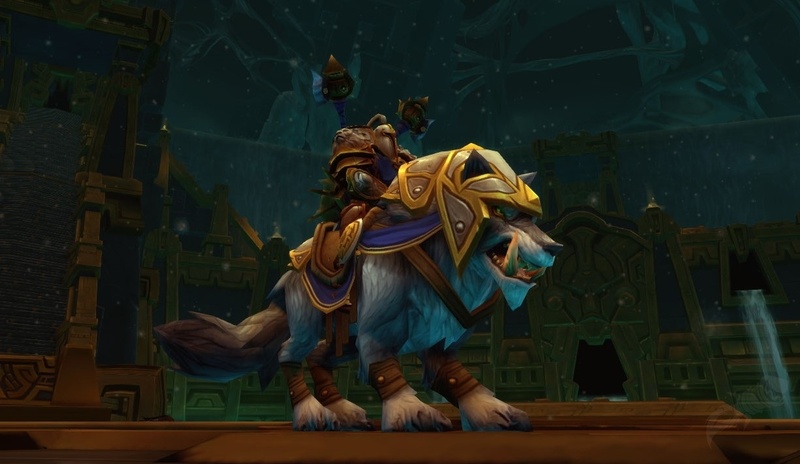 They are soloable with raid level gear (vw tank), like the timeless isles elites. So far, killed one scout and one warbringer two scouts with almost full health. Voidy never lost agro. Dropped golden lotus coin. Next, how am I going to get enough Windwool?? Day 1: Elk reached Honored after running dailies + 1 quest + dungeon + scenario rep.
Day 2: With DMF buff, Elk got 2400 rep in one day doing rounds. 9,500 left to Revered. Red Crane dailies only took about 25 minutes, so may still have time left with buff when I get on next time. Picked up 4 DMF hats just in case. Day 3: I went to my farm and realized that I hadn't picked up the daily quest before planting my crop. Loss of 400 rep. :( The DMF buff disappeared like a healthstone. Bleh. Glad I picked up 4 hats. Haven't done the scenario or dungeon, but got 1,300 doing just the quests. As suggested, planted one crop of Windshear Cactus, next to my "correctly" planted melons. Day 4: Just a few minutes before heading off to work. Worked farm; 440 rep (no hat bonus), but also 41 windwool and 4 bolts of windwool. Thanks for the hint Anonymous! Day 5: Ran all rep options, Elk is now within 4,000 of revered. Sadly, I found the warbringer outside the red crane area (Krasarang Wilds), and could not kill him. Maybe I was raid-buffed previously, but my voidwalker kept dying and wouldn't pick up aggro after he died and respawned. I even tried to sit at a point on the red crane island so that I would maintain the +health buff, but he'd fear my voidy and they'd re-engage too far away for dps. As a clothy, I could only take about two hits before dead. SoulShatter only worked about 10% of the time (and yes, I tried probably 20 times). 60 windwool from farm and drops. Day 6 - 8: Elk hit Revered on end of day 6. Eride started off at Neutral. Within approximately one day, she jumped through Neutral and into Friendly. She is now 10,000 into Honored. Elk still plants cactus on his farm. Typically get 30-40 windwool for each 8 plots (or 6-8 bolts). She has 24 imperial silk on hand, now burning the cloth daily to make celestial cloth. New pants?? Day ? : Eride is at Revered and now has 2 new enchants. About 1/3 through rep to Exalted. Elk has started on the Cloud Serpent rep and is already half way through revered. May get shiny new bags, and a new mount about the same time. Near end: Back around to Darkmoon Faire week. My tailor (i.e. Disc Priest) is now only 5000 away from exalted. I run her over to the fairgrounds, hop on the carousel and take the spin. 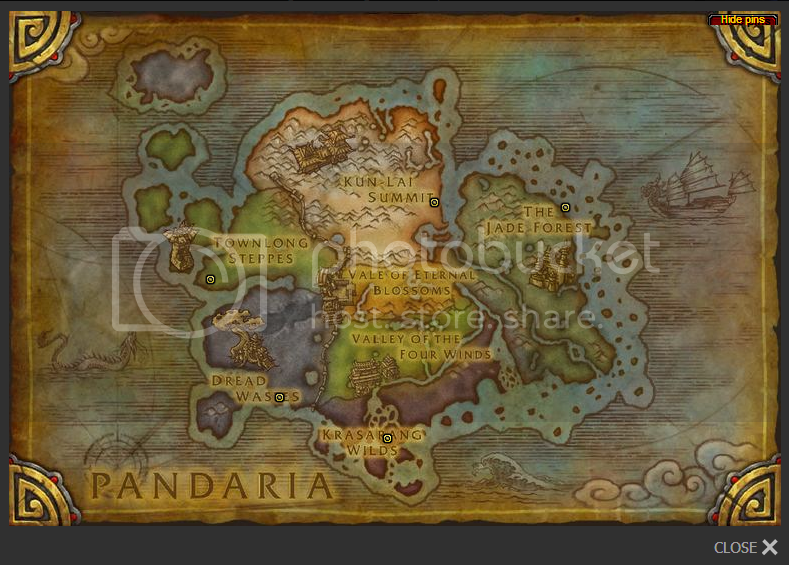 Hop off, queue and run scenario and dungeon. When done, I hop back on and refresh the Whee buff. Hearth home and run the dailies. Happy to see the 10% Whee bonus comes before the doubling caused by the commendation. 200 scenario rep = (200 + 10% (DMF) + 10% (guild) ) * 2) for 484 reputation gain. I had estimated 2.5 days left of dailies, but actually I might have exalted after one more day of dailies. I've an alt who is a dedicated Windwool farmer for my tailor. And the tailor herself is currently farming Motes. Don't forget the DMF ride for another rep bonus! I hadn't realized that the Dark Moon Faire has any rep gains, but I now see the "whee" buff from riding the carousel. Awesome! Another 10% this week. Ride it get the buff up to an hour.. I also have a ton of dark moon tickets, and could easily get the dark moon hatfor another hour. Kill Warbringers and Scouts, and plant Windwool Cactuses on Your farm and You'll be fine. And BTW You can always camp for Scritch who drops Hozen Peace Pipe (+1000 rep). Oh, awesome, That's right, I can plant for Windwool!! Guess what's going on the other 8 plots!